One of the main branches of our activity is represented by queen rearing. The breeding material for Buckfast queens comes from the most prestigious queen breeders from Europe. Therefore, to offer further quality material, the control over matings is providential. To ensure this, along with detailed study of distances, we realized also the supreme test, the one of virgin queens. Accordingly, we placed to the location a number of 20 mating nucs with virgin queens, being careful that in the mating nucs not to transport one single drone; therefore, all bees were “sifted” through a queen excluder. The confirmation that there are not indigenous drones came after 20 days, when the queens were still virgins, even though the mating condition have been appropriate. Considering the necessary number of drones per nucleus, from specialized knowledge, we ended up having 20 times more. (approx. a million mature drones in mating station during mating period). This flood of drones has the role to neutralize the risk of appearance of wild swarms drones in the rarely case they get closer to the mating station area. We strongly believe that quality and abundant feeding of the strong colonies that participate in this process are essential elements in obtaining good quality queens. We use the Cloake Board method on very big colonies, to be sure the larvae will be fed properly. 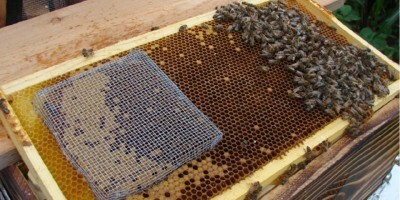 After capping, the queen cells are introduced into incubators and taken out before or after emerging as needed. We keep the queens in the mating hives at least three weeks to get mature and to be easy accepted in their new colonies. I know this web site offers quality dependent posts and extra stuff, is there any other web page which offers such stuff in quality?